HUNTER-DUVAR, JOHN (John Hunter), journalist, farmer, businessman, militia officer, jp, office holder, and author; b. 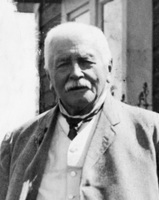 29 Aug. 1821 in Newburgh, Fife, Scotland, eldest son of John MacKenzie Hunter, an officer of excise, and Agnes Strickland; m. 22 Aug. 1848 Anne Carter in Royal Leamington Spa, England, and they had three sons and one daughter; d. 25 Jan. 1899 at his estate, Hernewood, on Mill River, Lot 5, P. E. I. Little is known of John Hunter’s youth. 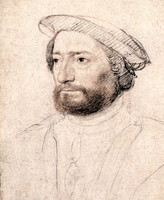 Although his brothers were learned clergymen of the Church of Scotland and he was the subject of an oil portrait done by “a fellow student of the Sorbonne,” there is no record of his having attended universities in Scotland or Paris. His wife’s background, too, is enigmatic. There has been much speculation – based on peculiar restrictions that had been placed on her, hints of exile, an annual pension from a law firm, a ban on photographs, a confusion of names on the couple’s marriage certificate, and a granddaughter’s note pencilled on the back of John’s will – that she was born of unmarried parents, that she was a cousin of Queen Victoria, and that the couple were under some duress during their early married life. A diary discovered in 1975 confirms that Hunter was in Halifax and Charlottetown in 1849, possibly as a press agent. An account written in 1899 credits him with founding Halifax’s first building society. By the time of the Crimean War he was a correspondent writing on behalf of the New York Associated Press. On 29 June 1857 Hunter and his family landed in Halifax en route to Prince Edward Island, where they intended to make their home. He travelled to the eastern United States in 1858, perhaps as a result of enquiries he had made about vacancies at the New York Daily Tribune, and then returned to the Island. By 1860 he had completed a large house on his 700-acre estate, Hernewood, where he farmed, kept a small sawmill, built up his much renowned personal library, and wrote. From there he conducted all of his affairs, including investments in the first attempts at construction of a transatlantic cable [see Frederic Newton Gisborne], and was considered to be as remote, intimidating, and fascinating as the estate itself. Also in 1860 he began a lifelong involvement with the militia. To avoid confusion with another person whose mail was often mixed with his own, Hunter legally changed his name on 9 April 1861 to Hunter-Duvar. His choice of name may reflect an ancestral association with the Var region of France or his interest in the poetry of Provence. From 1863 to 1868 Hunter-Duvar, for reasons as yet unknown, lived with his family in Halifax. He transferred to the Halifax artillery and in 1865 attained the rank of lieutenant-colonel. On 17 March 1866 he commanded the defence of York Redoubt when, in the absence of the regular garrison, Halifax was under threat of attack by Fenians. After he returned to the Island in 1868, Colonel Hunter-Duvar, as he was then known, became a justice of the peace. 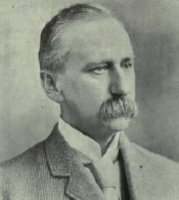 He edited a newspaper, the Summerside Progress, from 1875 to 1879, leaving it to become dominion inspector of fisheries for Prince Edward Island, an office he held until 1889. In that position he made a significant contribution to a growing segment of the Island’s economy. Hunter-Duvar’s appointment coincided with the beginning of a boom in the Island’s lobster-canning industry resulting from decreased stocks in New England, the availability of venture capital, and the spread of canning technology. Hitherto the Island’s fishery had been of minor consequence, but as entrepreneurs rushed to exploit the new opportunity the value of the fishery soared from $218,000 in 1873 to $2,000,000 in 1883, a total not again matched until after World War II. The average annual value was $1,000,000, with lobster accounting for roughly half the total. As pressure on lobster stocks mounted during the 1800s, Hunter-Duvar became an early and eloquent advocate of conservation through increased regulation. He was convinced that overfishing had ruined or would shortly ruin the industry. His recommendations included licensing canneries, an increase in the minimum legal size of lobsters, a restricted season, and a three-year moratorium on lobster fishing. The authorities were initially unwilling to take drastic action, but in 1889 regulation of the industry began in earnest. Of his recommendations, only the moratorium was not eventually implemented in some form or other. Hunter-Duvar’s occupations as journalist and office holder were, however, secondary to his career as a writer. His poetry began appearing in print in the 1870s in such outlets as local newspapers, the Maritime Monthly (Saint John, N.B. ), and the Dominion Illustrated (Montreal). By the time of his death he had produced an enormous output. A checklist of his known works reveals 75 published items – poems, plays, short stories, reviews, and essays, along with 44 unpublished pieces, including novels and extended works of history, anthropology, and literary criticism. The reputation Hunter-Duvar enjoys as a writer rests primarily on three of his larger works: The enamorado (Summerside, 1879), De Roberval, a drama (Saint John, 1888), which includes a poem called “The emigration of the fairies,” and Annals of the court of Oberon (London, ). Although The enamorado was not his first extended work (“John a’Var, gentilhomme et troubadour, his lais” was in the hands of a publisher in East Boston in 1874 and, even though it may not have been printed, enjoyed at least private circulation), it was the first to secure him a wide audience. Called a closet drama because it was intended to be read rather than performed, The enamorado has for its plot a love affair set in medieval Castile. It is arranged in a conventional pattern and employs pseudo-Shakespearian poetry. The play would have been more successful had the author’s plot, characterization, and turn of phrase been more strictly original and modelled less on the work of Elizabethan playwrights. De Roberval, a historical drama based on the life of Jean-François de La Rocque* de Roberval, although containing passages of startling poetic merit and some crisp but graceful lyrics, suffers from a self-conscious need to be in vogue, scrupulous indebtedness to European models, and a lack of judicious restraint in execution. The play is often compared to Charles Mair*’s Tecumseh (Toronto, 1886), another historical drama. De Roberval is more successful than Mair’s play in blending historical elements with the personality of the subject, and the play is rewarding both for its artistic moments and its learned view of a significant episode in Canadian history. “The emigration of the fairies” is Hunter-Duvar’s most artistically consistent publication. The poem may be autobiographical in part, using his and his wife’s experiences in the account of the fairies’ voyage across the Atlantic and their settling at Hernewood. Achieving a balance in tone, intent, and execution, it is perhaps the one work that reveals a truer assimilation of its influences, Lord Byron and Samuel Taylor Coleridge among them, and approaches freshness. Annals of the court of Oberon, even if not intended as a sequel to “Emigration,” is a poetic prose work intended to charm the genteel reader with the whimsy and fancy of its writer in his descriptions of fairy activities, while revealing his satirical views on various social and political institutions. Hunter-Duvar’s niche in Canadian literature is still a small one, limited to the rushed-over early pages of anthologies, honourable mentions in introductory courses, and users of archives. 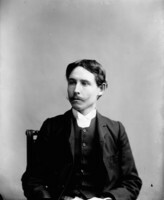 Although a contemporary of Charles George Douglas Roberts*, Archibald Lampman, and other charter members of the great awakening of the 1880s, Hunter-Duvar really belongs in the company of the earlier, bookish, less original writers such as Charles Heavysege*, Charles Sangster, and Charles Mair. He was a scholarly colonial gentleman and government official who wrote a considerable amount of skilful and competent material, much more than is commonly realized, which, although mostly imitative, contains some fine, original flourishes. [P. J.] M. Blagrave, “Playwriting in the Maritime provinces: 1845–1903” (phd thesis, Univ. of Toronto, 1983), places Hunter-Duvar’s work in the context of that produced by other Maritime writers and analyses five of his plays. The thesis condemns “the careless treatment thought to be adequate for a writer of Hunter Duvar’s stature” and cites in his respect L. J. Burpee, A little book of Canadian essays (Toronto, 1909), and M. D. Edwards, A stage in our past, English-language theatre in eastern Canada from the 1790s to 1914 ([Toronto], 1968). Hernewood; the personal diary of Col. John Hunter Duvar, June 6 to September 17, 1857 . . . , ed. L. G. Dewar (O’Leary, P.E.I., 1979), contains a useful account of people and places mentioned in the subject’s diary. McCord Museum, M21411, file no.5064. NA, MG 29, D30. P.E.I. Museum, File information concerning John Hunter-Duvar. Univ. of P.E.I. Library (Charlottetown), File information concerning John Hunter-Duvar. J. A. Payzant, “John Hunter-Duvar,” Dominion Illustrated (Montreal), 23 Aug. 1890. Daily Patriot (Charlottetown), 26, 28 Jan., 3 Feb. 1899. Island Guardian, 27 Jan., 17 Feb. 1899. Oxford companion to Canadian hist. and lit. (Story). Oxford companion to Canadian lit. (Toye). Standard dict. of Canadian biog. (Roberts and Tunnell), vol.2. Lit. hist. of Canada (Klinck et al. ; 1976), vol.1. W. L. Cotton, Chapters in our Island story (Charlottetown, 1927). Kennedy Wells, The fishery of Prince Edward Island (Charlottetown, 1986), 131–49. J. M. Cameron, “Fenian times in Nova Scotia,” N.S. Hist. Soc., Coll., 37 (1970): 103–52. S. C. Campbell, “HUNTER-DUVAR, JOHN,” in Dictionary of Canadian Biography, vol. 12, University of Toronto/Université Laval, 2003–, accessed April 22, 2019, http://www.biographi.ca/en/bio/hunter_duvar_john_12E.html.